California Indian Legal Services strongly urges you to review the Federal Register, Vol. 83, No. 107, issued on June 4, 2018, regarding the Indian Child Welfare Act; Designated Tribal Agents for Service of Notice. Tribes may choose to include their designated tribal agent for ICWA noticing purposes on this annual list. It has come to our attention that many of the listed agents are incorrect, despite the fact that the 2017 publication contained correct contact information. Under the Indian Child Welfare Act (ICWA), in any case where a party is seeking to place an Indian child in foster care or terminating parental rights, the Indian child’s tribe must be notified and informed of their right to intervene. 25 U.S.C. §1912(a). The regulations for implementing the ICWA allow an Indian Tribe to designate an agent other than the Tribal chairman for purposes of receiving notice of an ICWA proceeding. While designating a tribal agent is not required under the ICWA, a designated agent for the ICWA proceedings ensures that a tribe is able to respond and participate in a timely manner. California courts have acknowledged the importance of county social services agencies utilizing the federal register’s list of designated tribal agency for service of the ICWA notices. (See In re J.T. (2007) 154 Cal.App.4th 986; In re Alice M. (2008) 161 Cal.App.4th 1189.) Additionally, California courts have highlighted the value of noticing a designated agent as it “ensure[s] that notice is received by someone trained and authorized to make the necessary ICWA determination, including whether the minors are members or eligible for membership and whether the tribe will elect to participate in the proceeding.” In re J.T., 994. 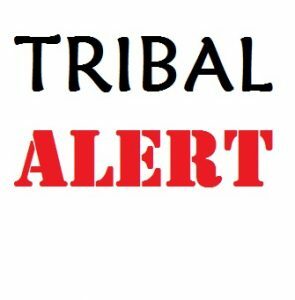 If your tribe’s designated agent’s contact information is outdated, incorrect, and/or incomplete, please contact Evangeline Campbell, Bureau of Indian Affairs, Chief, Division of Human Services, 1849 C. Street NM, Mail Stop 3641-MIB, Washington, DC 20240; Phone: (202) 513-7621. If you have any questions or would like further information, please contact Mica Llerandi at mllerandi@calindian.org or (760)746-8941. Thank you. CILS and the Mesa Grande Band of Mission Indians (Tribe) will be hosting a one-day training for tribes with no or little economic development on their lands. 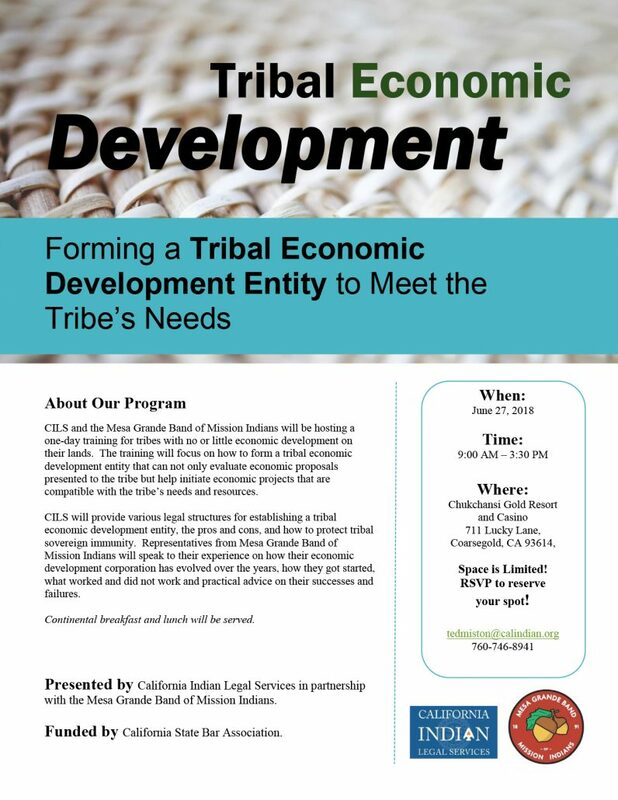 The training will focus on how to form a tribal economic development entity that can not only evaluate economic proposals presented to the tribe but help initiate economic projects that are compatible with the tribe’s needs and resources. CILS will provide various legal structures for establishing a tribal economic development entity, the pros and cons, and how to protect tribal sovereign immunity. Representatives from the Tribe will speak to their experience on how their economic development corporation has evolved over the years, how they got started, what worked and did not work and practical advice on their successes and failures. Who should attend: Tribal Leaders, Tribal Administrators, Tribal Attorneys, Appropriate Tribal Administrative Staff (e.g., environmental department, land office, and water department), and Tribal Community Members. California Indian Legal Services in partnership with the Mesa Grande Band of Mission Indians. Space is Limited! RSVP to reserve your spot! Eureka, CA – June 11, 2018: JulieAnne Shull joins the CILS team as an Administrative Assistant providing support to the Eureka CILS office. “I feel very fortunate and grateful to be a part of the CILS community. I am excited to learn from and assist a dedicated, passionate group of people in protecting Indian rights.” Shull said. JulieAnne Shull joined California Indian Legal Services in April 2018. She has lived in Humboldt County for the last fifteen years and has loved the people and environment that make it special. After earning a Paralegal Studies degree from College of the Redwoods, she gained several years of experience in law offices specializing in corporate, family, and criminal law. Escondido, CA – June 6, 2018: Over the past fifty-one years, California Indian Legal Services (CILS) has witnessed dynamic changes in the lives of our people from one end of the State to the other. During this time, challenges, needs, and conditions have ebbed and flowed depending on fiscal, regulatory, and social circumstances, and CILS has adjusted its efforts accordingly. To remain current and relevant to these ever-changing needs, CILS is conducting a statewide tribal legal needs assessment to determine tribes’ legal needs. What are the most pressing issues CILS should be focusing our attention and resources on? 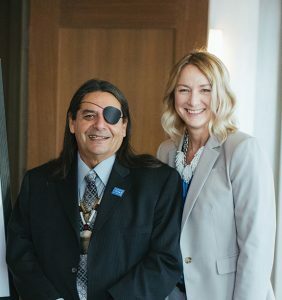 Mark Romero, Chairman of the CILS Board of Trustees and former Chair of the Mesa Grande Band of Indians, and Nicole Scott, CILS Director of Marketing and Development are visiting tribes throughout California to talk about their current legal issues. They are conducting a statewide tribal legal needs assessment with Tribal Councils, administrators, and other leaders to discuss how CILS can best serve tribes and our Native American community as a whole. “CILS will be reaching out to all California tribes for their valuable advice and counsel on how to best serve our community moving forward. The tribal legal needs assessment takes about an hour and helps CILS understand which issues need our attention and resources. We look forward to visiting each tribe,” said Nicole Scott, CILS Director of Marketing and Development.